We've known for a while that the refreshed Jeep Cherokee was going under the knife in order to ditch its controversial face. While the crossover's looks have grown over time, it was still a little too weird and awkward for some buyers. 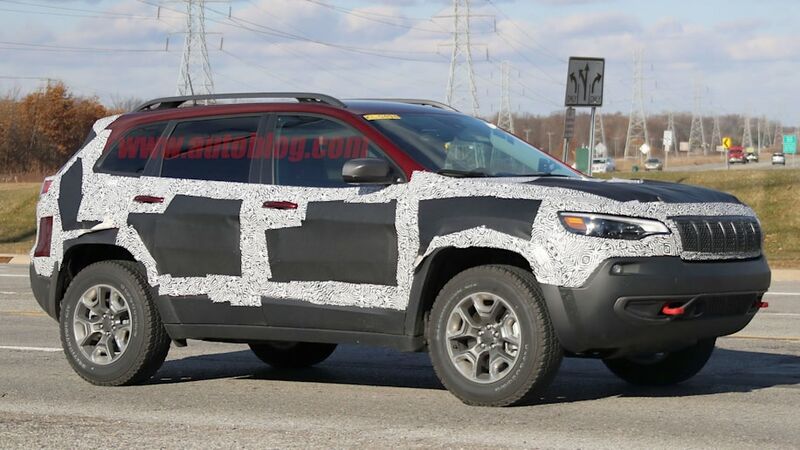 Now, thanks to our trusty spy photographers, we have a really good look at the Cherokee's new mug. Surprise! It looks like every other product in Jeep's lineup. The current model has a split lighting setup that places the main headlights down low, almost below the grille. The turn signals/parking lights are way up high, nearly on top of the fender. This new model has those two meet in the middle. 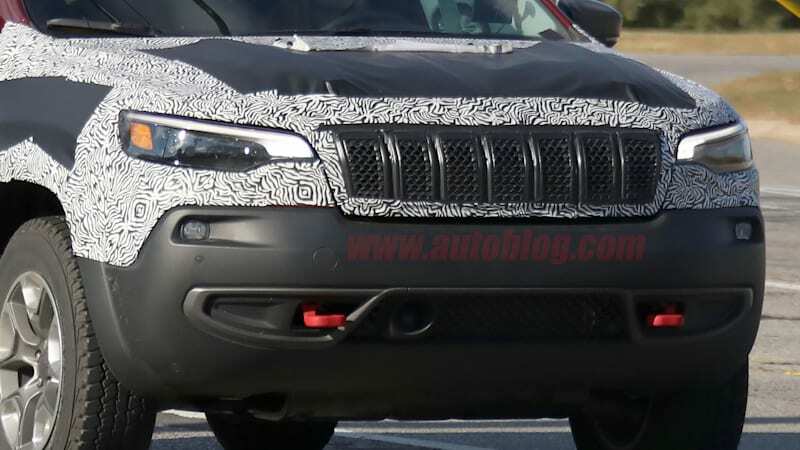 The shape is generally what you would find on both the new Compass and Jeep Grand Cherokee. It's handsome, even if it does lose a bit of character. The rear, too, has been changed. The license plate moves up and into the tailgate, giving it a more muscular, less flabby look. The smaller rear reflectors have been moved upward. The taillights look different, but it's hard to say if those are just temporary units. 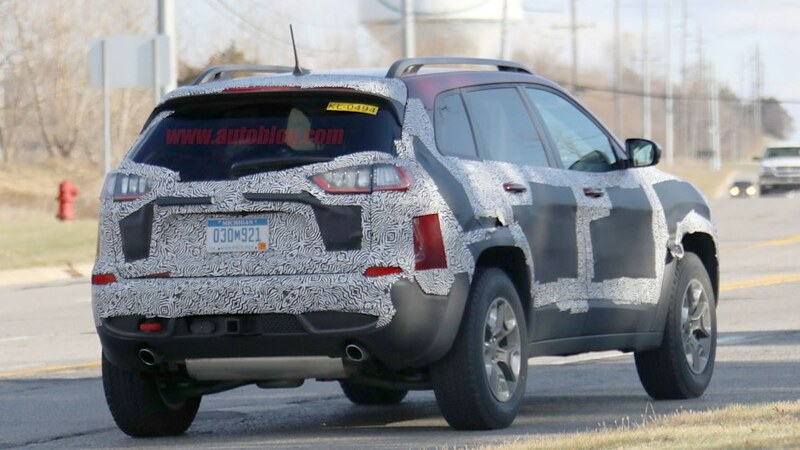 Either way, expect a new design that once again cribs from the 2017 Jeep Compass. Since this is a refresh, don't expect to wait too much longer until we see the new model's debut. We could see it as soon as the Detroit motor show next month. Expect current powertrains to carry over with a slight boost in fuel economy.